The Resident Tourist: Give Me Love . . .
Give Me Love . . . Happy Tuesday! I'm sorry I've been MIA, there really aren't any excuses other than extreme busyness - which doesn't count since I know we're all busy all the time. So how about I make it up to you with a fun, must-do plan for the week? Go see Yayoi Kusama's Give Me Love exhibit at the David Zwirner gallery. I don't want to give it all away (everything is better as a surprise! 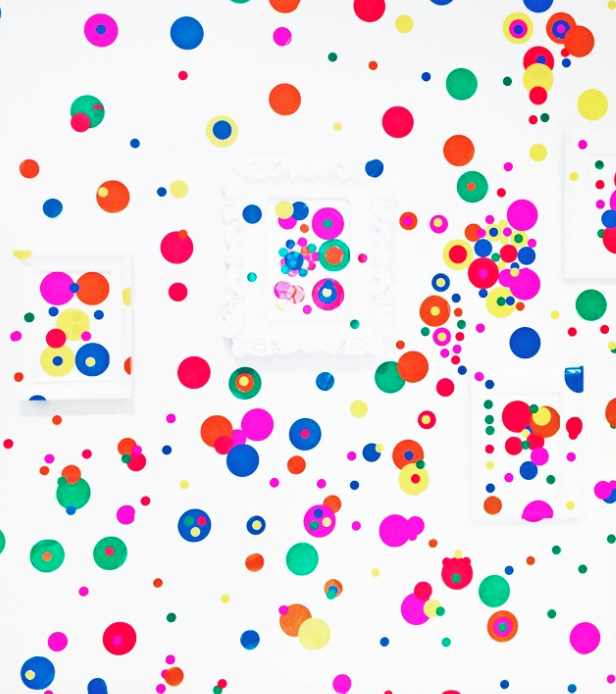 ), but expect an interactive experience and with plenty of polka dots, in typical Kusama fashion. The exhibit runs through June 13, 2015 and admission is free. A word of caution, if you go during the weekend you may run into a short line, but don't let it discourage you. It moves quickly, plus it's completely worth the wait. You'll leave happy and light, only wishing that you could have stayed longer. Check it out, have fun, and let me know what you think! PS. A great tip I picked up from Moni, who took me to see it: follow your favorite art galleries on Instagram. It's the best way to get the latest on exhibits and openings around the city.